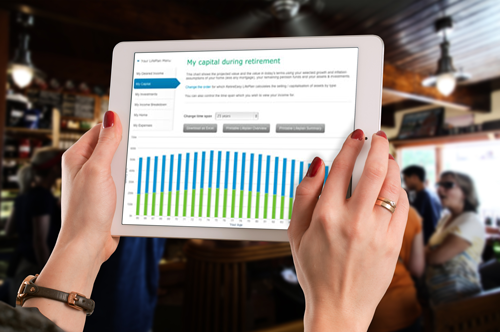 RetireEasy is the UK's most powerful independent retirement planning tool - it's easy to use and lets you take control of your finances. Compare features Which LifePlan is right for you? Online application that helps you manage your retirement finances. RetireEasy was developed by Richard Collinson who, like you, worried how long his money would last while living the lifestyle he wanted. Finding there was nothing in the market that did the job, he created RetireEasy. Using the examples provided we will guide you through using RetireEasy LifePlan. See what people like you think! "Only discovered this site yesterday after weeks developing my own spreadsheet; that's abandoned now! Absolutely excellent planning tool." "Thank you for this excellent programme which I have just recently discovered." "Fantastic tool - Just getting started with your site and I am impressed. I have a spreadsheet that does the basics but this is something else." "I don't often plug products, but I think that RetireEasy is offering the 'holy grail' solution that many of you have been waiting for..."
"Thank you very much, I appreciate your assistance. I love this application, there doesn't appear to be anything like it elsewhere." "The service is likely to prove popular with retired accountants, although it is simple enough for anyone to use." "Keep up the good work. 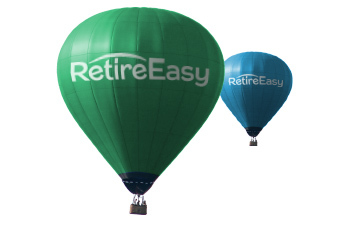 RetireEasy LifePlan has indeed made the job of envisaging my retirement much easier." "It's easy to set up and presented in a clear, appealing format... allowing you to produce a plan for future income and expenditure." "...the software enables users to enter myriad combinations of assets and income including pensions, isas, and business and property interests." “At RetireEasy our mission is to empower our users with an unprecedented ability to take control of their finances and enjoy life to the full by making positive lifestyle choices and not suffering needless financial hardship. We consider this our commitment. RetireEasy’s lifestyle planners give you the freedom to take control of your future retirement finances. Its easy-to-use design helps you visualise your long-term plans - without the fear of running out of money. Get started with RetireEasy Basic or learn more about RetireEasy Classic or RetireEasy Premium.